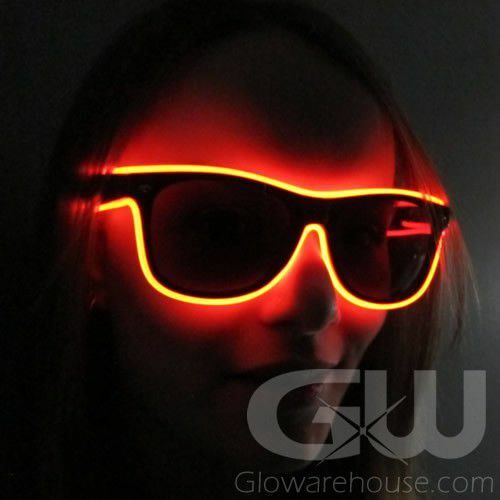 - EL Wire Sun Glasses with cool Sound Sensor! - Ray-Ban Style Sun Glasses with Completely Lighted Frame! 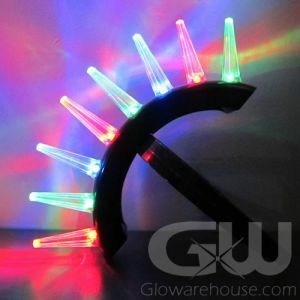 - 3 Settings: Steady, Flashing and Sound Reactive! - Have Your Sun Glasses blink in time to Music! 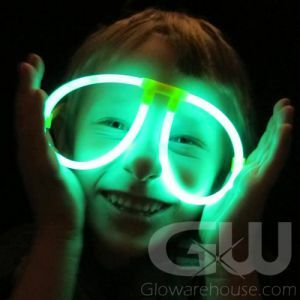 If you're so cool you even need to wear your sunglasses in the darkest hours of night, then we have the glow in the dark party product for you! Light Up Sunglasses with Sound Sensors! 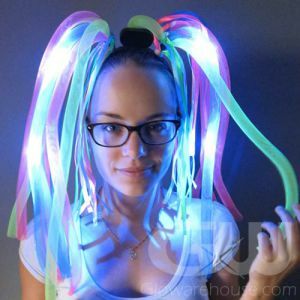 Perfect for EDM music festivals, school dances, night clubs, epic glow parties and they make great gifts too! 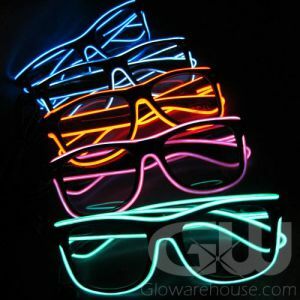 These amazing Ray ban style glow in the dark sunglasses light up with Electro-Luminous wire around the entire frame. 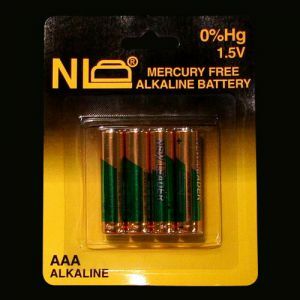 Just place 2 pieces of AAA batteries into the battery compartment and push the button - you have three modes to choose from. Mode 1 is Steady Light, Mode 2 is Flashing and Mode 3 is Sound Reactive. The built in sound sensor will make the LED sunglasses flash and react in time with music!